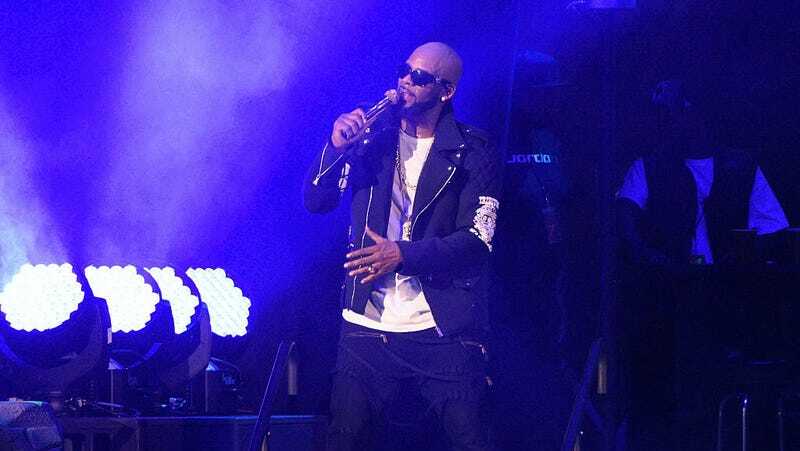 On May 10, Spotify announced that it was removing R. Kelly’s songs from its branded playlists, but not from the streaming service entirely. The move, part of Spotify’s new “hate content policy,” was undoubtedly influenced by the #MuteRKelly campaign, which in addition to asking RCA Records and Ticketmaster to drop R. Kelly has also demanded music streaming services like Spotify remove the alleged abuser’s songs as well. Spotify made the bold declaration on May 10, but R. Kelly’s streaming numbers are relatively the same with some small growth: Before the announcement, he averaged 6,584,000 weekly streams for the year. But from May 10 to May 16 he garnered 6,676,000 streams for the week, according to Nielsen Music. That means that Kelly’s fans are actively seeking out his music regardless of whether or not his music was on some nostalgia R&B Spotify playlist. It makes me wonder if Kelly’s placement on a Spotify playlist even impacted his streaming success in the first place. Or perhaps Satan has a Spotify account, and this is where all his streams are going. In the six days since XXXTentacion’s “SAD!” was removed from Spotify’s playlists including RapCaviar, where it held prominent placement, the track’s streams dropped 17 percent per day in the United States on average. That continued rate of decline, Billboard estimates, could cost the rapper as much as $60,000 in revenue in a year from — roughly ­equivalent to the United States’ median household income — from one song on one service in the U.S. alone. In the four days after “SAD!” was removed from Spotify’s playlists (May 10-13), its on-demand audio streams dropped 9 percent across all streaming services in the U.S. compared to the four days prior (May 6-9), according to Nielsen Music. This makes a little more sense given how successful a playlist like RapCaviar is. Younger users, which likely make up the bulk of XXXTentacion’s fanbase, tend to listen to music via playlists on Spotify, so if an artist drops off a popular playlist, their music is bound to see a drop in streams. The discrepancy in how the policy hurts someone like R. Kelly vs. XXXTentacion means that in order for the #MuteRKelly campaign to see some progress, the consequences for Kelly have to be far more drastic than deleting his music from a playlist. The Spotify streaming update comes just as Kelly has been hit with another lawsuit from a woman who claims she met him at a 2017 show and that he later abused her.